Simple sophistication with a two-tone touch. Slim, matte brass-finished iron supports a polished white marble top for a look of effortless grace. 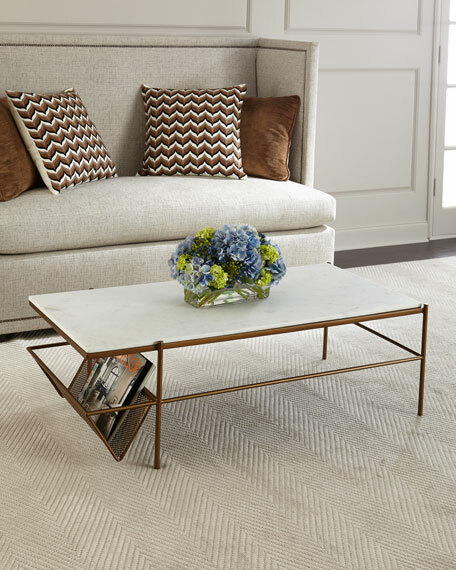 A perforated brass periodical rack meets modern function with trend-forward allure. Matte brass finish on welded iron frame. 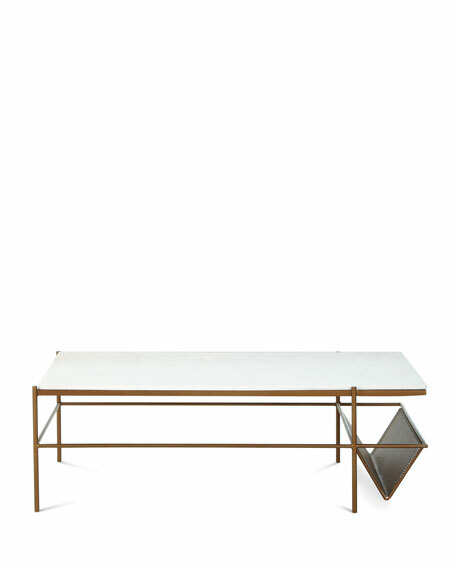 Perforated brass rack on end. Overall, 50"W x 25"D x 16"T.
Boxed weight, approximately 122 lbs.